An outsider might have thought Harold Johnson had every reason to hate the man found guilty of drunk driving, causing his brother’s death. But Johnson and that man, Hillary Cook, have joined together to share their story, and to fight against alcoholism and addictions. An outsider might have thought Harold Johnson had every reason to hate the man found guilty of drunk driving, causing his brother's death. But as the court case against Hillary Cook wrapped up, Johnson made a gesture that became part of a bond between the two men. "At the end there, he came and shook my hand," Cook recalled. "I think that might have helped me to kind of feel at ease when I talked to him and accept him because he was genuine about his words and in this action, taking my hand." 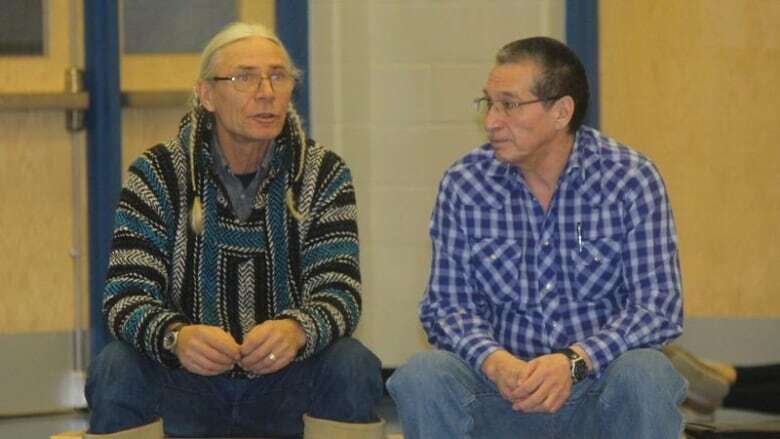 The two men talked about their shared journey on Feb. 4 at Churchill Community High School in La Ronge, with Cook calling it a "humbling experience." After his incarceration, he had told Johnson he wanted to talk to students about his journey, and the dangers of alcohol and drugs that leads so many to prison. "If you can touch one kid that ends up not drinking, you've done good," he said. Cook had been drinking on the day of the crash, Aug. 9, 2014. The last thing he remembered was walking through a trail, with the rest of that day lost to him. He isn't sure it was really him that crashed into Harold Johnson's brother Gary, even though he would later plead guilty to the crime. "I didn't really want anybody else being blamed," he said. "I just decided, 'No, it's best that I accept responsibility." Johnson has had a lot of grief in his life. His family of nine has been whittled down over time to four, but he said he had no time to waste being angry or hateful at Cook for his loss. "I've experienced the process of grief to know that the only way past that is through it," he said, explaining that Cook's prison sentence served no one any good. "We never wanted a punishment. That isn't going to make anything better." During his time in prison, Cook saw the majority of his fellow convicts also faced addictions issues. "I kind of relay that, you know alcohol didn't do us any good, that's why most of us are here," he said, explaining that after his arrest, he himself has not touched alcohol. Harold Johnson said nine people have reached out to him after reading his book Firewater, saying reading the book has led to them quitting drinking. It's a message they both want to impart to students and young people. 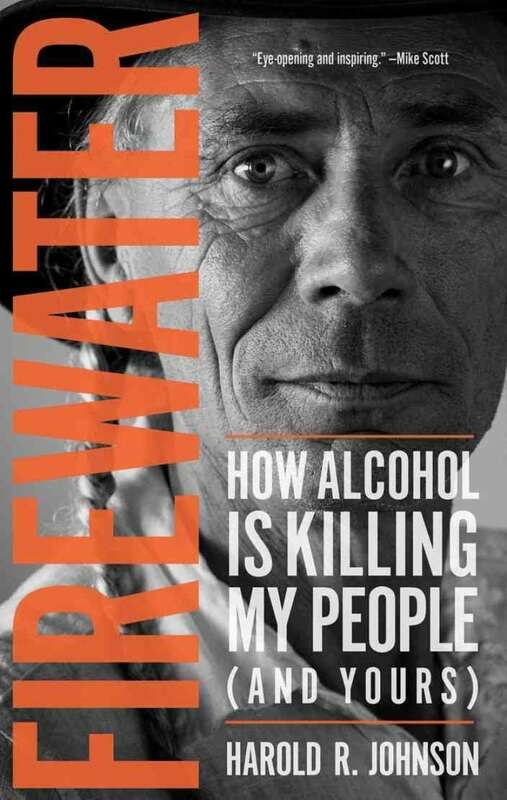 Johnson has written a book on just that topic, Firewater: How Alcohol is Killing My People (And Yours), drawing on his years of experience as a Crown prosecutor in Treaty 6 territory. In the book, he wrote that white people don't want to talk about Indigenous people and alcohol for fear of being called racist, while Indigenous people don't want to talk about addictions lest it be cast back at them. "And I was wrong. I go to communities and I open up the conversation about it. Everybody wants to talk about it," said Johnson. Nine people have since told him that they've quit drinking as a result of reading Firewater. Johnson feels as though he and Cook are part of a conversation that's making a difference in the fight against alcohol and drugs. "We've had enough of it, we're done with it now."